We’ve met one of the villains in Colin Trevorrow’s upcoming feature Jurassic Word, in the form of that nasty new, lab-grown dinosaur that’s a mixture of T-rex, Velociraptor, snake, and cuttlefish DNA. 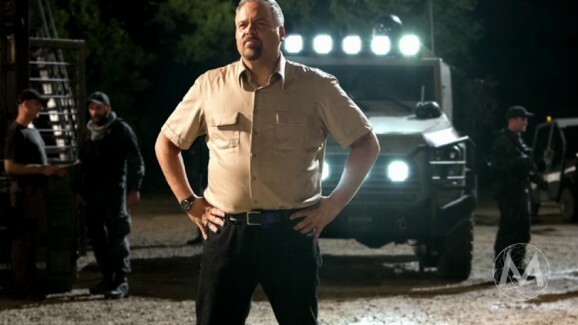 It’s hard to have a monster be the bad guy, and in that spirit, we’ve now got our first look at Vincent D’Onofrio’s character, who we’ve heard plays the human antagonist in the return to the Jurassic Park franchise. D’Onofrio plays Vic Hoskins. In addition to running the theme park, the Masrani Corporation also has a great variety of interests around the globe, and as such, they have lots of assets to keep secure. Good old Vic is in charge of all of protecting all of this, and in this handy dandy, corporate introduction, you get the distinct impression that things are not always so simple and straightforward as they want you to think. You can’t help but presume that Vic and company are also responsible for “dealing” with internal problems for the company. He seems like the kind of guy who has disappeared the body of a whistleblower once or twice. 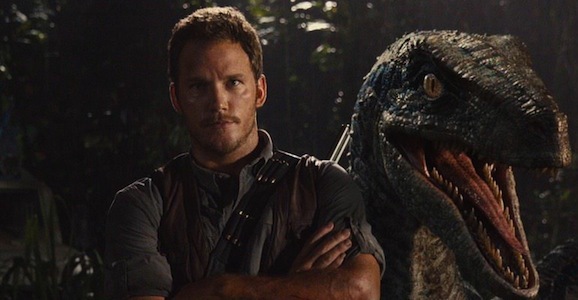 If you’ve been paying attention to the news and trailers for Jurassic World, you know that the big bad antagonist is a genetically enhanced dinosaur cooked up in a lab. That tidbit leaked out and was later confirmed by director Colin Trevorrow, as well as the numerous looks we’ve had at this point. But if some new toys are to be believed, the Indominus rex as it is called, may not be the only new guy floating around. You know how there are some animals that can be trained and domesticated to a degree, but will always retain a sense of wildness and unpredictability? Like why you’re never supposed to keep a raccoon as a pet, because you can only civilize them to a point. 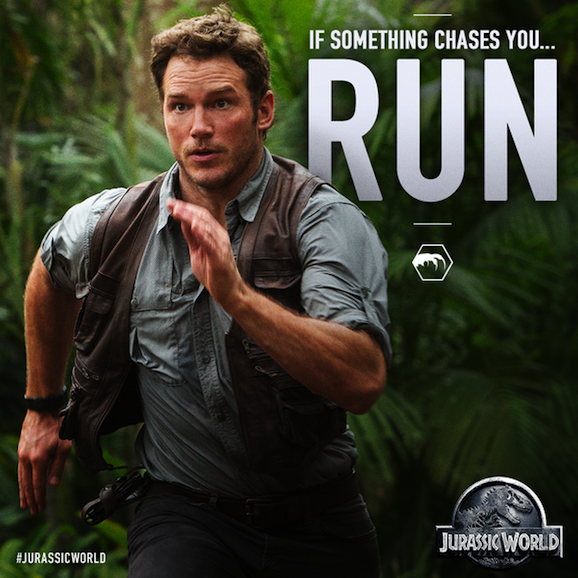 That’s the feeling you get with the Velociraptors. Sure, we know that they’re smart enough to learn to do just about anything (except recognize their own reflection), but you get the feeling that no matter what bond you form with them, they’re always right on the verge of ripping you to shreds.